You should definitely put Vipava valley on your bucket list when in Slovenia. When people travel to Slovenia, the common travel desire menu is to visit lake Bled, Ljubljana, Postojna caves and Piran town on the coastline. Those who do a bit of a research on Slovenia head to Soca valley to do some adrenaline sports and touch the Julian Alps. 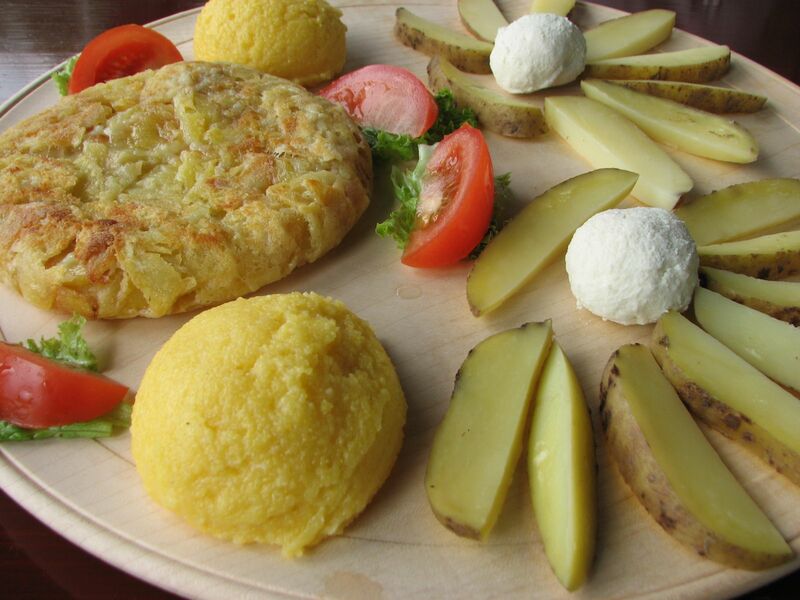 The foodies hit the road towards Goriška brda region. But Slovenia, squeezed between Austria, Italy, Hungary and Croatia, offers more and can suit different tastes. Are you ready to explore and experience more?! It takes only 1 hour from the capital city Ljubljana to reach Vipava valley by car. When arriving on the Razdrto pass, the view on Vipava valley is magnificent with numberless vineyards, flourishing orchards and steep slopes of Nanos and Trnovo plateau. It is time to take your first photo! Vipava valley is the windiest region in Slovenia. Burja or bora wind, that blows at a speed of even 180km/h, helps drying prosciutto, keeps fog and clouds away but also causes some problems in traffic. Keep an eye on house roofs. Buildings have stones and rocks on their roofs to prevent the tiles from being blown off. The legend says that the bora wind was decisive factor in a battle in 394. What was the result of it? The Christianity became the only religion in the Roman Empire. Are you searching for a great value meal deals? Well, then you are in the right place. Local tourist farms and restaurants are offering seasonal dishes following the recipes of their grandmothers. Just to list some Vipava valley specialties: Nanos cheese, Vipavska jota/Vipava thick soup with turnip or sauerkraut, beans and potatoes, Vipavski štruklji/Vipava dumplings, Šelinka/celery soup, Vipavski pršut/Vipava prosciutto. These dishes are unique and yummy. Dober tek/Have a good meal! Mild Mediterranean climate, rich soil, bora wind, enough rain and hilly landscape are perfect for wine making. Vipava valley is known as a great wine-growing region. There are around 2300ha of vineyards. Well signed Vipava wine road will lead you to family-run winemakers. Wine lovers will enjoy wine tasting of autochthonous Zelen, Pinela, Klarnica grape varieties in the places where the wine is produced: in vaulted wine cellars. Do not miss to sing a song in wine cellars with perfect acoustics surrounded by wine barrels. Cheers and Na zdravje! Vipava valley is covered with charming little towns and villages. Wander around photogenic villages of Goče, Podnanos, Vipavski križ just to mention few of them. Clustered villages with narrow cobblestone streets boast with outstanding stone cutting and architectural heritage. You will never be alone here because locals like to interact with foreigners. The locals are extremely hospitable. Are you ready to enter their wine cellars?! Beside rich cultural heritage Vipava valley also offers many possibilities for outdoor lovers. One of them is undemanding hike to the natural wonder Otliško okno/Otlica natural window. A legend says that a hole was made by a devil himself. Through the window you can take a great selfie with Vipava valley at the back. Ajdovščina is the biggest town in Vipava valley. The town was built on the basis of roman Castra beside Hubelj river. Believe it or not, roman Castra is the most preserved defense fortress with 14 towers and thick walls from the roman times in Slovenia. Make sure to visit roman spas, Veno Pilon gallery so as to enjoy a short walk to Hubelj spring. During autumn and spring time take part at the osmica, a traditional open-houses where you can taste local wines and home-made delicacies. Wine growers are allowed to sell their surplus of their last year’s wine eight days (eight in Slovenian language means osem and from a word osem delivers osmica) per year without paying tax. In this way they empty their wine barrels for upcoming year. It is a real culinary mouth-watering treat with live music during the weekends! Have you ever had a possibility to hand-harvest grapes? Well, do not miss joyful annual event that takes place every September in Vipava valley. Grape harvesting is one of the crucial steps in wine production. So, why not to be part of it? This time of the year the vineyards are full of hand-pickers. After hard work in the vineyard, sit down, relax and have a lunch with a local family. Walk around Lanthieri manor house which was built in the 17th century and visit its rich interior. The best way to visit it is during the week when the Lanthieri manor house hosts students of College of Enology and Viticulture. Enjoy pleasant breeze beside Vipava river. Did you know that Vipava river is the only river with deltoid spring in Europe?! In front of the Lanthieri manor house there is English-style park with the fountain shaped in a form of four leaf clover and statues of fat boys/putties. This is the only baroque style park in Primorska region. Have you found ginkgo tree in the park yet? 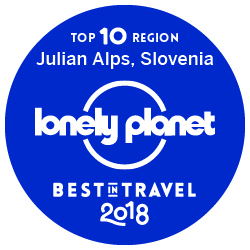 Well, I have listed only 10 reasons why you should visit Vipava valley. Take plenty of time for exploring and enjoying while in Vipava valley. I am quite sure there is much more to do and see in Vipava valley. How to travel to Vipava valley? – by bus: You can take a bus directly from a bus station in Ljubljana. Check the timetable here. – by Prevozi.org. A great website that offers carpool possibilities through Slovenia and abroad. For now, only in Slovene language. Check the Prevozi.org. Where to sleep in Vipava valley? Make sure you prolong your stay here to at least 3-4 days. There are excellent accommodation facilities for all tastes. Check the accommodation offers here. See you soon in Vipava valley. If you need some more information on Vipava valley, write us an email: vesna@slocally.com.